Some members of the Carmelite Third Order in Britain. The Third Order is the branch of the Carmelite Order for lay people and diocesan clergy who, by the profession of promises, make a formal and public commitment to living the Carmelite way of life. Members of the Third Order, or 'tertiaries', live the Carmelite charism and practice the Evangelical Counsels of poverty, chastity and obedience according to their personal state in life. It has sometimes been said of these 'Tertiaries' or 'Lay Carmelites' that they are 'Carmelites who work from home"! Since the earliest days of the Carmelites in medieval Europe, lay men and women have been attracted by the Order's spirituality, its particular 'slant' on the Gospel of Jesus Christ. From the thirteenth century onwards lay people became members of the Order through the profession of promises, or through membership of confraternities (brotherhoods) linked to Carmelite friaries (to read more about the history of laity in the Carmelite Family click here). Such groups and individuals laid the foundations for the more formal development of the Third Order (Secular) in the seventeenth century, an organisation of lay people - sometimes known as Tertiaries or Lay Carmelites - who follow the Carmelite way of living according to their own state in life, professing promises of obedience and chastity. What does the term 'Third Order' mean? The term 'Third Order' is not a hierarchical one, or an indication that the Lay Carmelite vocation is not as important as the 'First Order' of friars. The terminology simply indicates the historical order in which the groups developed. After the original Carmelite hermits the friars were organised as the 'First Order' (brothers, some of whom are priests). The 'Second Order' refers to the enclosed nuns. The 'Third Order Regular' refers to apostolic sisters working 'out in the world'. The 'Third Order Secular', or 'Secular Order', refers to those lay people and diocesan clergy who follow the Carmelite way of life in their own circumstances, having made profession of promises. 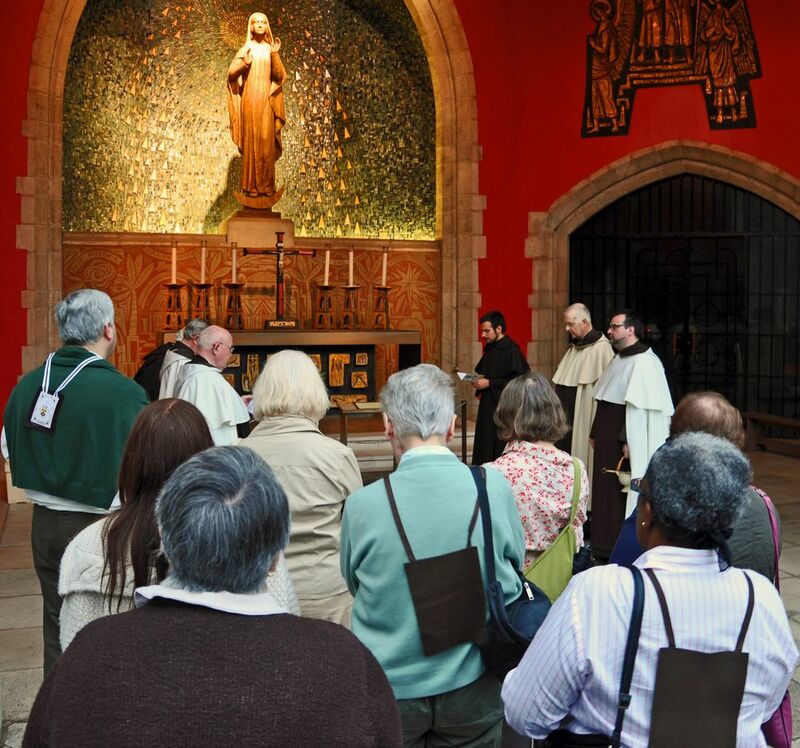 How do lay people live the Carmelite way of life? Carmelite tertiaries come from a variety of professional and social backgrounds. After being received into the Order they continue to live in their own homes and work in the world, demonstrating their love of God through their love of family, colleague and neighbour. Life as a Lay Carmelite is way of living in a spirit of true communion with the entire Family of Carmel into which we are fully accepted and incorporated. Members of the Third Order are not 'affiliates' or 'associates' of the Order, but fully-professed Carmelite brothers and sisters who share in the charism of Carmel. Profession of the Evangelical Counsels as a tertiary is the fullest means for a lay person or diocesan cleric to belong to the Carmelite Order. Profession is a serious (but not sombre!) commitment. The purpose of making this commitment is to respond more deeply to one's baptismal calling to follow Jesus Christ. by faithful fulfilment of the will of God as it is manifested through the commitments arising from each member's individual state in life (such as obligations to family, employers, etc.). Individuals and sometimes entire families are drawn to Lay Carmel. The Third Order was formally organised for the first time in seventeenth-century Italy. Since then various Carmelite Third Order movements have developed in different parts of the world, some on a small scale and others very large. Most provinces (national or cultural regions) of the Order today have a Third Order presence. The Second Vatican Council gave new energy to the Third Order, with the Church's emphasis on the vocation of the laity, and a call for religious orders to return to their roots (which, in the case of Carmel, meant rediscovering the important place of the laity). As the notion of Carmelite Family developed from the 1970s onwards, so has the significance of the Third Order. Today the Third Order is numerically the largest group within the Carmelite Family (after the less formal bonds of those who belong to the Brown Scapular Confraternity). In 2007 Saint George Preca became the first member of the Carmelite Third Order to have his holiness formally recognised by the Church through a decree of canonisation. The sanctity of other holy men and women of the Third Order is being considered by the Holy See, and popular Carmelite tradition reveres a number of lay people associated with the Order over the centuries, such as Blessed Joan of Toulouse. Although there were many forms of connection between Carmelite religious and lay people in medieval Britain, there was no formal 'Third Order' at the time of the Reformation when the Carmelites and other religious orders were dissolved. Various individual and isolated Lay Carmelites may have been in the country from the seventeenth century onwards. The Third Order became very active in Ireland in the nineteenth century. When the Carmelite friars (of the Ancient Observance) returned to Britain in the early twentieth century, they were keen to encourage the Lay Carmelite vocation and established a number of Third Order Chapters (lay communities) across the country. A lot of our existing lay communities were established in the 1950s and 60s. In the 1990s a process of spiritual renewal and organisational revival began within the Third Order in the British Province, and today the Third Order is flourishing in Britain. A full programme of initial formation is now offered to potential candidates, along with opportunities for prayer, community-building and service. From 2006 members of the Third Order began to develop Carmelite Spirituality Groups as a new form of Lay Carmelite community that incorporates both tertiaries and others inspired by Carmel. Lay Carmelite communities (Third Order Chapters and Carmelite Spirituality Groups) are growing across England, Wales and Scotland. As of 2012 there are approximately 800 members of the Carmelite Third Order in Britain, linked to over twenty Chapters and Carmelite Spirituality Groups. Members of the Carmelite Third Order gathered at Aylesford Priory in 2011.